This is a 1 Oz. Applicator of Liquid Plastic Cement from Testors. This is a 7/8oz Tube of Cement for Plastic Models from Testors. For Ages 8 and Up. For use over BSI's standard #312 top. 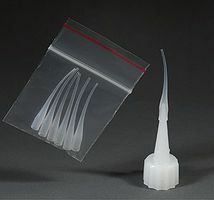 Can be used with all thicknesses of CA except IC-Gel. The flexible tip can be cut to the length and/or inside diameter that is needed for a particular application. 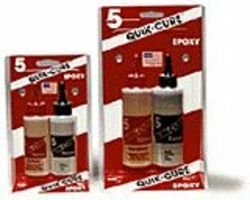 Insta-Set 3.75 fl oz Aerosol Accelerator F.S. IC-2000 is a rubber-toughened cyanoacrylate that forms superior shock resistant bonds on non-porous surfaces. The black colored CA has added flexibility for the bonding of metals, fiberglass, rubber, carbon-fiber and other advanced materials. This is a 5/8oz Tube of Non-Toxic Cement for Plastic Models from Testors. For Ages 8 and Up. This is a 1/2 Oz. Applicator of Clear Parts Cement & Window Maker from Testors.